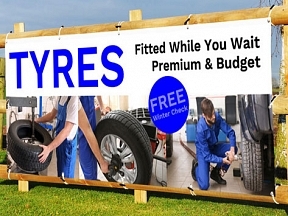 Advertise your speedy and efficient Tyre Fitting Service with Banners From HFE, whether your selling Tyres, Brakes, Exhausts or anything else, we have a Banner for you. Design is Free of charge, simply let our design team know what you need, and they will have a proof over to you by email in no time. 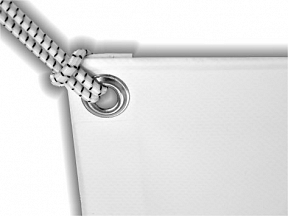 Give your sales a boost with professional bespoke banner printing from HFE Signs.